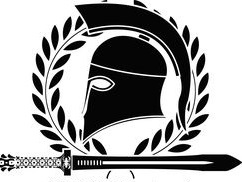 Silent Centurions | 200+ members and growing! Who are the Silent Centurions? The Silent Centurions are a new group of people from all nations and all walks of life. We are more about friendship and building new relationships with new and interesting people, rather than competitive play. This is an organization that is geared to all types of players. From casual, to the not-so-casual. While this is a group geared to players of all types, nationalities, and backgrounds, we do still have some requirements. When I say that this isn't a clan, I mean this is more of a group of people who like to talk and have fun. This is a group open to all players of all types and playstyles. So it is perfectly acceptable for you to belong to another group or organization. Either Message me on the forums if you're interested in joining. Or if you wish, just join our discord! With people from all over the world, you'll always have someone to play with! Bump! Over 50 members, come join our ranks! Bump! 64 members and growing! Bump! 71 members and growing! Bump! We're waiting for you! Bump! 90 players and growing! Bump! Over 90 members strong! Bump! 106 members and 25 who play WoWS regularly! Come join us!